Property Details: 3 Bedroom, 3 Bathroom Residence with approx. 1796 square feet. 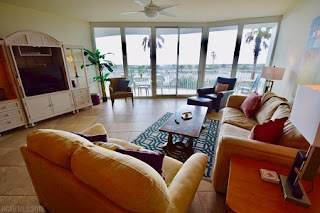 Orange Beach condo for sale at Caribe Resort. Investors look no longer! This Nicely appointed condo features 3 Bedroom/3 Baths with a luxurious and spacious interior boasting a designer kitchen with stainless steel appliances, granite counter tops, and high ceilings. Unit is Tiled throughout the Living Areas, and New Carpet was installed in Bedrooms. Wet bar features ice maker and wine cooler. Master Bathroom has separate shower and whirlpool tub and large walk-in closet. Laundry room holds washer, dryer, and mud sink. Unit comes with an assigned covered parking space. This unit offers expansive views of the Gulf of Mexico! Come relax at the resorts indoor pools, outdoor pools, lazy river, fitness center, tennis court, and so much more! !